THE GUITAR COLLECTION: MOVIE SONGS. 64 POPULAR SONGS FROM MEMORABLE FILMS. 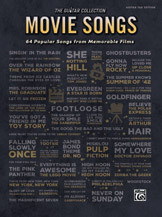 The Guitar Collection: Movie Songs contains 64 songs that immediately evoke the famous films they're taken from, including "Gonna Fly Now" from Rocky, "Everything Is Awesome" from The Lego Movie, "Ghostbusters," "Footloose," The Graduate's "Mrs. Robinson," "James Bond Theme," "New York, New York," and many more. 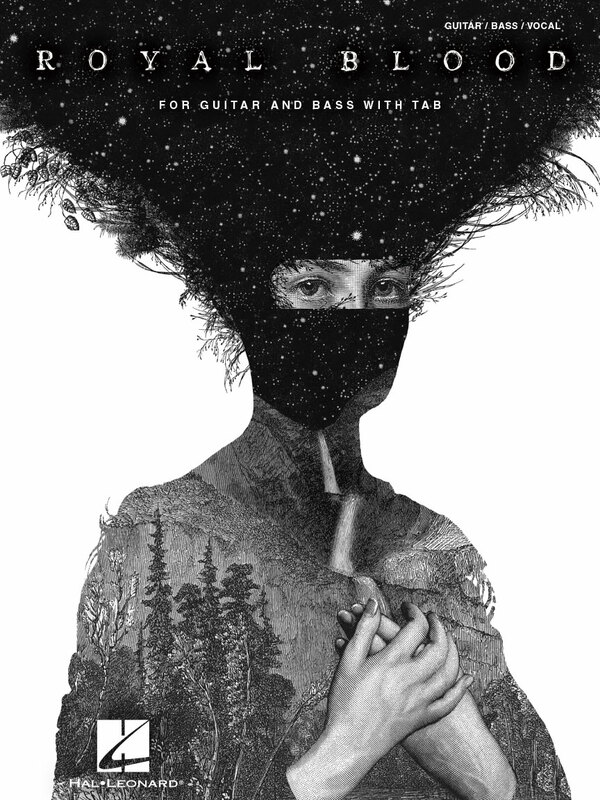 Every book in The Guitar Collection series features guitar TAB transcriptions with complete lyrics, and the sheer variety and quality of the selections make them a no-brainer bargain for guitarists and musicians of all ages. Titles: Against All Odds (Take a Look at Me Now) (Against All Odds) * Arthur's Theme (Best That You Can Do) (Arthur) * Batman Theme (Batman (1966)) * Because You Loved Me (Up Close and Personal) * Believe (The Polar Express) * Blue Velvet (Blue Velvet) * Concerning Hobbits (The Lord of the Rings: The Fellowship of the Ring) * Evergreen (Love Theme) (A Star Is Born (1976)) * Everything I Do (I Do It for You) (Robin Hood: Prince of Thieves) * Everything Is Awesome (Awesome Remixxx!!!) (The Lego Movie) * Falling Slowly (Once) * Footloose (Footloose) * For Your Eyes Only (For Your Eyes Only) * Ghostbusters (Ghostbusters) * Glory of Love (The Karate Kid Part II) * Goldfinger (Goldfinger) * Gonna Fly Now (Rocky) * The Good, the Bad and the Ugly (The Good, the Bad and the Ugly) * The Greatest Love of All (The Greatest) * Hair (Hair) * Have You Ever Really Loved a Woman (Don Juan DeMarco) * Have Yourself a Merry Little Christmas (Meet Me in St. Louis) * High Noon (Do Not Forsake Me, Oh My Darlin') (High Noon) * How Do I Live (Con Air) * I Don't Want to Miss a Thing (Armageddon) * I Have Nothing (The Bodyguard) * I Love to See You Smile (Parenthood) * I See Fire (The Hobbit: The Desolation of Smaug) * Theme from Ice Castles (Through the Eyes of Love) (Ice Castles) * I'm Alright (Caddyshack) * Into the West (The Lord of the Rings: The Return of the King) * It Might Be You (Tootsie) * James Bond Theme (Dr. No) * Let It Go (Walt Disney's Frozen) * Live and Let Die (Live and Let Die) * Look What You've Done to Me (Urban Cowboy) * The Magnificent Seven (The Magnificent Seven) * Misirlou (Pulp Fiction) * Moonlight (Sabrina (1995)) * Mrs. Robinson (The Graduate) * My Immortal (Daredevil) * Never on Sunday (Never on Sunday) * Theme from New York, New York (New York, New York) * Nobody Does It Better (The Spy Who Loved Me) * Over the Rainbow (The Wizard of Oz) * The Pink Panther (The Pink Panther) * The Prayer (Quest for Camelot) * (We're Gonna) Rock Around the Clock (Blackbird Jungle / American Graffiti) * Scarborough Fair/Canticle (The Graduate) * Separate Lives (White Nights) * The Shadow of Your Smile (The Sandpiper) * She (Notting Hill) * Singin' in the Rain (Singin' in the Rain) * Somewhere My Love (Lara's Theme) (Doctor Zhivago) * Streets of Philadelphia (Philadelphia) * The Summer Knows (Summer of '42) * There You'll Be (Pearl Harbor) * Town Without Pity (Town Without Pity) * What's New Pussycat? 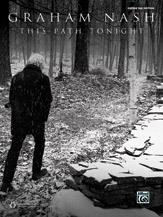 (Tom Jones!) 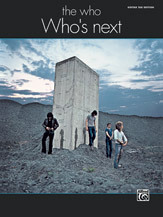 * The Windmills of Your Mind (The Thomas Crown Affair) * Woodstock (Woodstock) * You're a Mean One, Mr. Grinch (How the Grinch Stole Christmas) * You've Got a Friend in Me (Toy Story) * Theme from Zorba the Greek (Zorba the Greek). 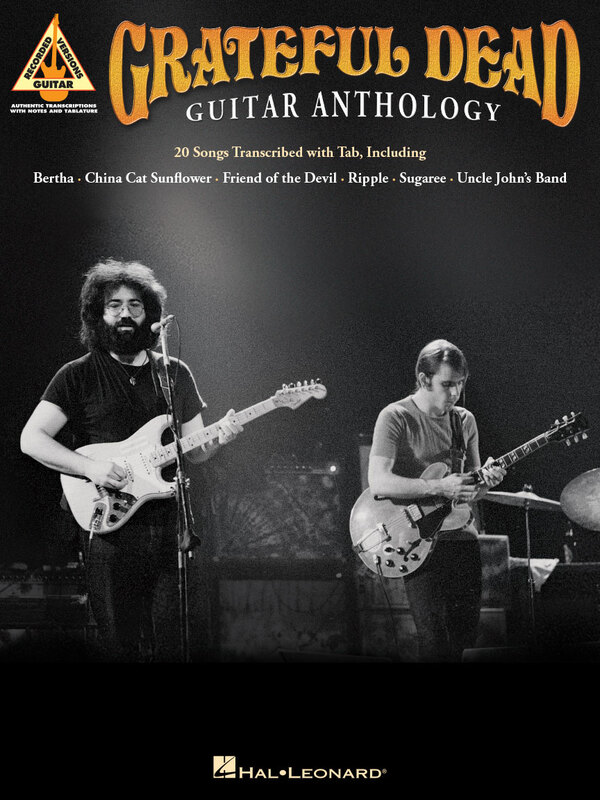 20 of the very best from the Grateful Dead in 382 pages of note-for-note guitar transcriptions, including: Bertha • Box of Rain • Casey Jones • China Cat Sunflower • Fire on the Mountain • Friend of the Devil • Ramble on Rose • Ripple • Shakedown Street • Sugar Magnolia • Sugaree • Touch of Grey • Truckin' • Uncle John's Band • and more. 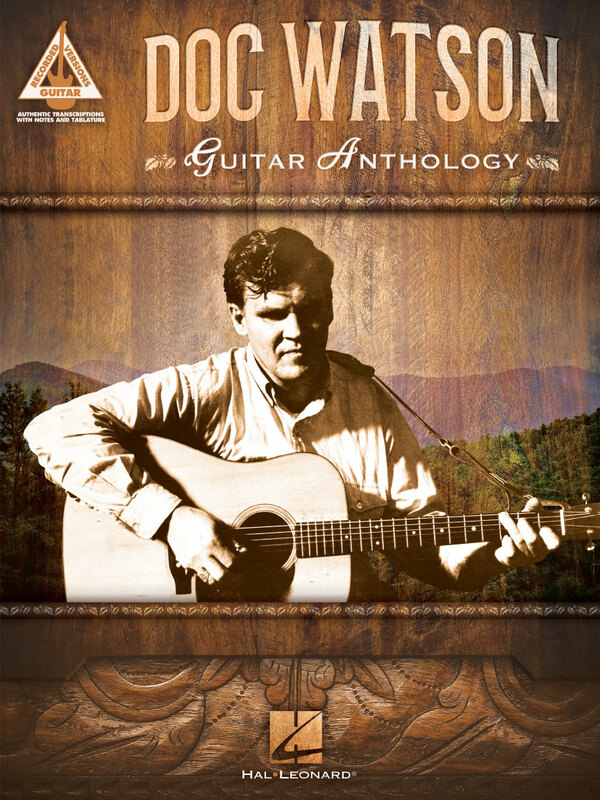 DOC WATSON – GUITAR ANTHOLOGY. SHEET MUSIC BOOK WITH GUITAR TABLATURE. 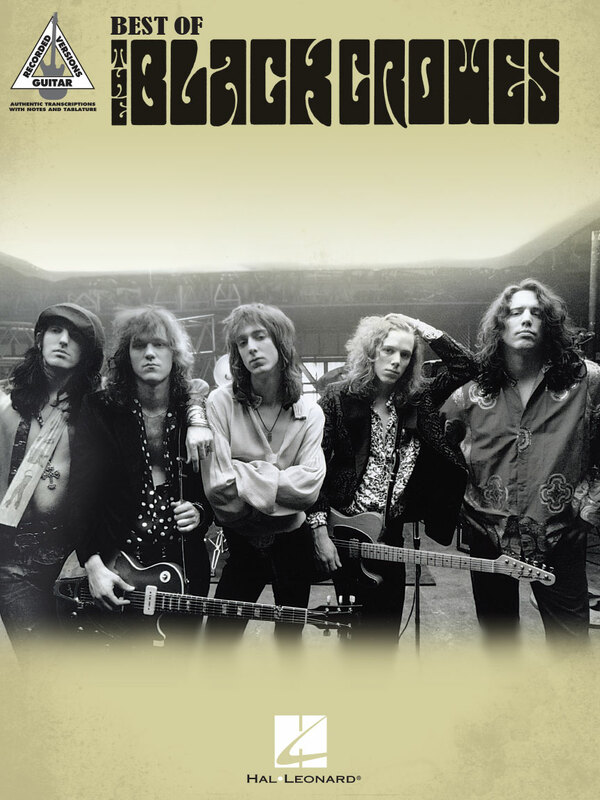 14 detailed guitar transcriptions are featured in this collection with highlights from his recordings, written note-for-note with tab. Now you can learn the songs, licks and fingerpicking style that made Doc famous. Songs include: Beaumont Rag • Black Mountain Rag • Deep River Blues • Doc's Guitar • Little Sadie • Shady Grove • Sitting on Top of the World • Tom Dooley • Windy and Warm • and more. You've seen their spectacular theatrical stage productions and heard their platinum-selling albums, now learn the precision guitar licks and thunderous riffs from 13 of TSO's most memorable masterpieces. Written in standard notation and tab, behold the power and magic of the rock opera, where prog rock meets classical music. Includes: Beethoven • Christmas Canon Rock • Christmas Eve/Sarajevo 12/24 • Dreams of Fireflies • First Snow • A Mad Russian's Christmas • The Mountain • Mozart and Madness • Old City Bar • Requiem (The Fifth) • Siberian Sleigh Ride • Toccata-Carpimus Noctem • Wizards in Winter. LES PAUL IN HIS OWN WORDS CENTENNIAL EDITION. BOOK. 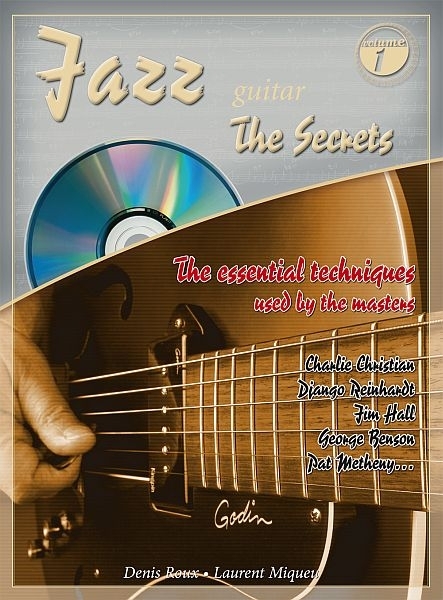 JAZZ GUITAR THE SECRETS. Denis Roux, Laurent Miqueu. LEARN TO PLAY LIKE THE GREATEST GUITARISTS OF OUR TIME. SHEET MUSIC BOOK WITH CD TABLATURE. It can be hard to start playing a new musical style if you don't have a grip on the particular technique it uses. As an introduction to the jazz guitar, we have gathered a series of tips, tricks and techniques as used by the masters. Unlike rock, pop music and other styles, jazz guitar barely use barre chords and either less open string chords. You will learn in the first part **the rythmics and chords used in jazz guitar. The third part is a repertory of phrases that will allow you in the end to built your own solos. To help you practice your soloing, the play-along tracks can be found on the accompanying CD of this course.